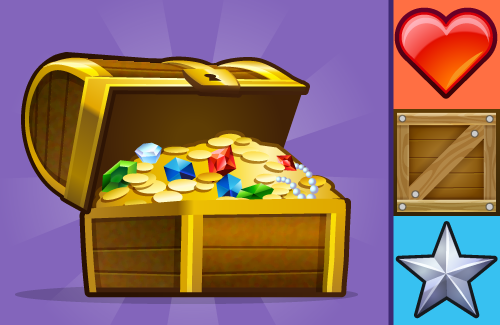 This FREE crouton has coins, gems, chests, and more. Very useful for putting simple items in your games that the player can pick up and interact with. Download the Basic Item Crouton! 7 responses on "Basic Items Crouton"
hi am new in this .. can i use this in my game no copyrights? this site is super fun to use. any body know how to save game data ? any way to export attribute or table date to disk file? Hi I’m trying to get this crouton and nothing happens when i press the download button? The best-est game maker software and website. I loved it. I’m very interested in coding, game making, etc. I have also encouraged many students in my school to use Gamesalad. I suggest you to create more tutorials for game making so that the user, most interested can interact and understand more.